It's no secret that darts players are incrediblypassionate about their game of choice. A visit to any of the professional, officially sanctioned darts matches will reveal that in an instant: the screaming and roaring crowd that instantly falls to silence when a player approaches the line comes right back to life when the throw lands true. Even your average casual pub match can become boisterous and excitable. The skill and precision necessary to be a good darts player, combined with the need for long-term consistency, means that this is a game where bragging rights are of the utmost importance. Watching professional darts players is great fun, not only are there huge, excitable crowds in the venue, but the players are also highly skilled and competing for big prizes. Overall, it's a game that combines concentration, skill in hand-eye coordination, and even strategy for a very enjoyable time. Why remain just a mere spectator, though? Everyone must start somewhere, and you could find that playing darts is rewarding, fun, and might even bring you some brand-new friends. When you're a total beginner, though, figuring out how to get your darts all the way to the board at all is a challenge in its own right. Don't be discouraged, though: throwing a dart can be tricky, and getting it to land in the right spot that you want is even trickier. All it takes is time, practice, and an understanding of the right way to do things. 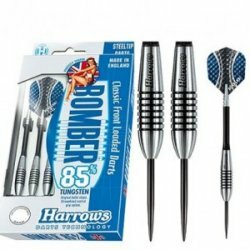 New to darts? Intermediate player? Veteran tungsten thrower? 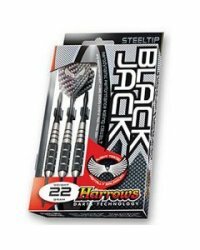 This article will help inform you on the best decisions to take when choosing dart shafts and flights. So, if you're new to the game or simply tweaking your long-established setup then read on. We will help make sure that you understand how important the choice of shafts and flights is to your throw and the results you achieve.